Two for the price of none: Free kayaking and camping! The extra activities are an exhilarating kayak excursion near the dazzling glacial coastline, and an expedition-style camping trip that allows you to make your own snow dugout and sleep under the polar stars. Spaces are limited and available free of charge for only a short time on a first-come, first-served basis. 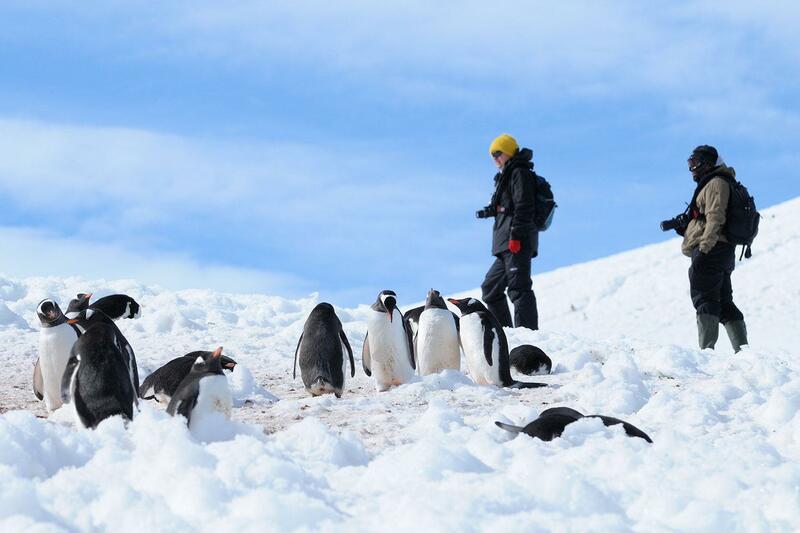 Want to visit Antarctica a second time without repeating landings? 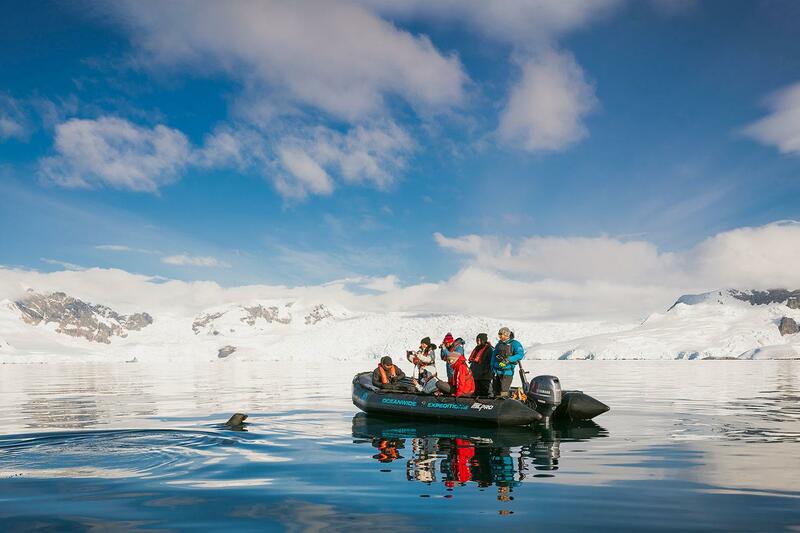 The Antarctic Peninsula offers dramatic scenery and wildlife almost everywhere and a great variety of possible landing sites. Yet many voyages visit almost the same places every time. 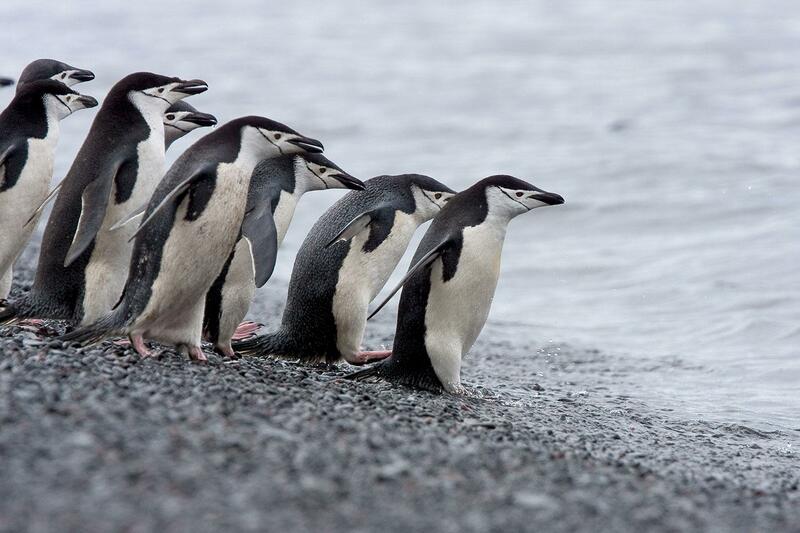 Looking beyond the 'usual landing sites', this itinerary takes you on a journey of discovery to reach wild and beautiful Antarctic places, off the beaten track. 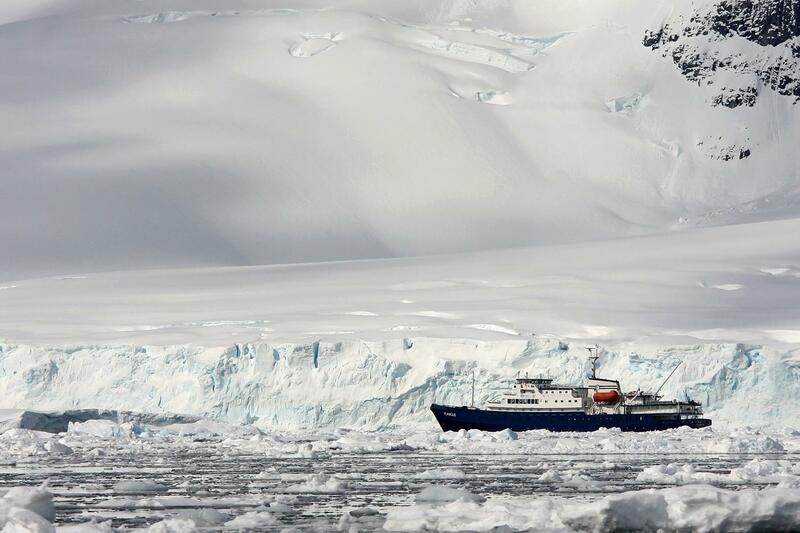 This 11 day voyage will attempt Antarctica landings that have rarely if ever been offered by any cruise operator. Day 1: Departure from Ushuaia Your voyage begins where the world drops off. Ushuaia, Argentina, reputed to be the southernmost city on the planet, is located on the far southern tip of South America. Starting in the afternoon, you embark from this small resort town on Tierra del Fuego, nicknamed “The End of the World,” and sail the mountain-fringed Beagle Channel for the remainder of the evening. 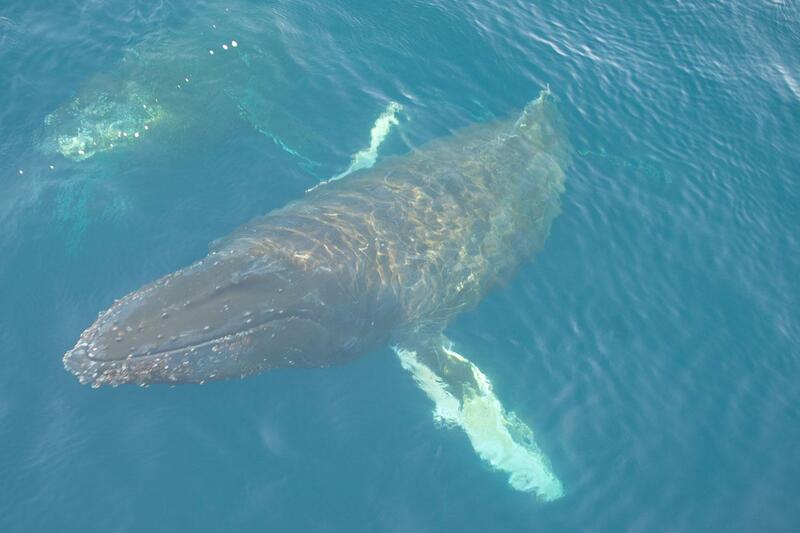 Day 2 - 3: At sea Over the next two days on the Drake Passage, you enjoy some of the same experiences encountered by the great polar explorers who first charted these regions: cool salt breezes, rolling seas, maybe even a fin whale spouting up sea spray. After passing the Antarctic Convergence – Antarctica’s natural boundary, formed when north-flowing cold waters collide with warmer sub-Antarctic seas – you are in the circum-Antarctic upwelling zone. Not only does the marine life change, the avian life changes too. Wandering albatrosses, grey-headed albatrosses, black-browed albatrosses, light-mantled sooty albatrosses, cape pigeons, southern fulmars, Wilson’s storm petrels, blue petrels, and Antarctic petrels are a few of the birds you might see. 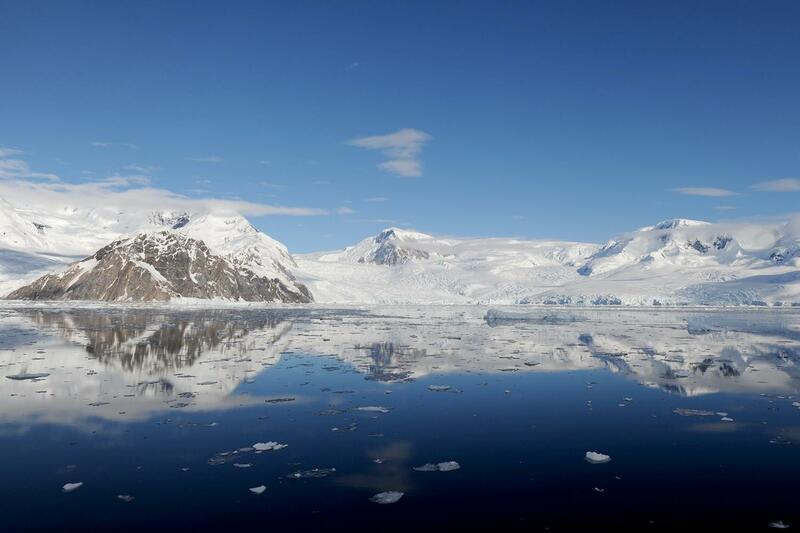 Day 4: Icescapes of the Antarctic Sound Glaciers, icebergs, and pack ice extend into the horizon. 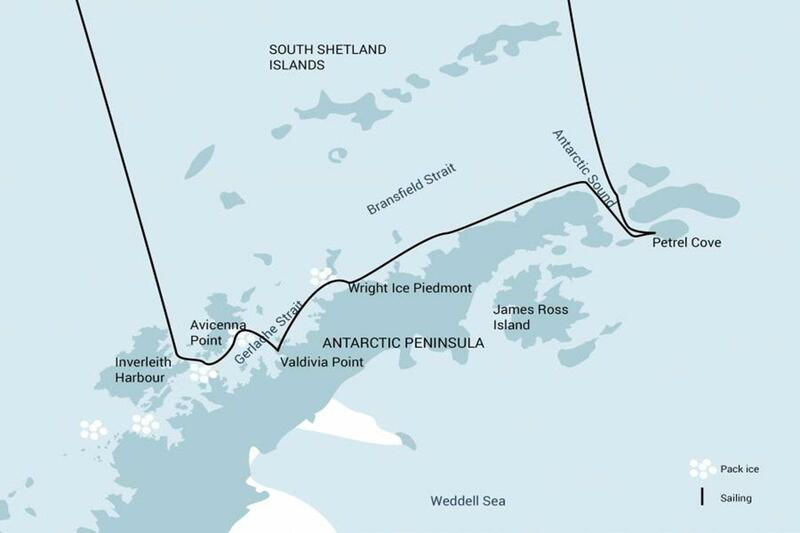 On the northern side of the Antarctic Sound is Dundee Island, where you have the chance to land at Petrel Cove. The Argentinean Base Petrel is located here, and its massive airplane hangar hints at the base’s heritage: It was from this stretch of flat land that Lincoln Elsworth and Herbert Hollick-Kenyon completed the first flight across the Antarctic Continent in 1935. In the late summer expeditions, a large number of Antarctic fur seals and southern elephant seals haul up on the beaches here. Alternatively, we may explore Active Sound if ice conditions allow. Day 5: Sailing the Wright Ice Piedmont Next you sail along the Wright Ice Piedmont at Graham Land, which was mapped based on photographs taken between 1955—57. The piedmont was named after the brothers Wilbur and Orville Wright, who in December 1903 were the first people to fly an airplane. Day 6: Valdivia Point views Keeping to the west coast of Graham Land, you reach Valdivia Point, named after the German ship Valdivia by Otto Nordenskjöld’s Swedish Antarctic Expedition. Further west you may also see Challenger Island and Bluff Island. Day 7: The bays of Brabant Island We then continue sailing to the western side of Brabant Island, exploring Avicenna Bay, Buls Bay, and the analysis-inspiring Freud Passage. Day 8: Anvers Island adventure At the northeast coast of Anvers Island, you next visit Fournier Bay. This location was probably first sighted by a German expedition under the command of Eduard Dallmann in 1873-74, chartered by the French Antarctic Expedition of Jean-Baptiste Charcot (1903-5). It was named after the French admiral Ernest Fournier. 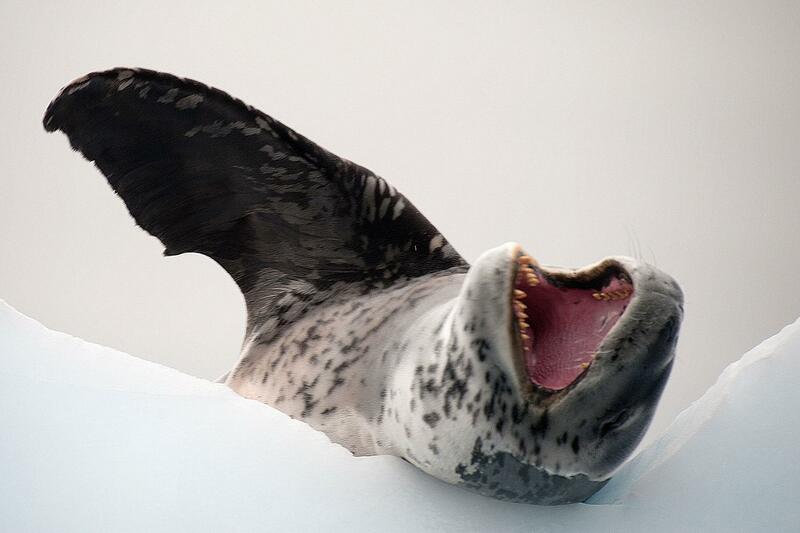 You might also make a landing at Inverleith Harbour (also on the northeast coast of Anvers), possibly spotting an Antarctic tern colony as well as Weddell seals. Day 9 - 10: Familiar seas, familiar friends Your return voyage is far from lonely. While crossing the Drake, you’re again greeted by the vast array of seabirds remembered from the passage south. But they seem a little more familiar to you now, and you to them. Day 11: Ushuaia Every adventure, no matter how grand, must eventually come to an end. 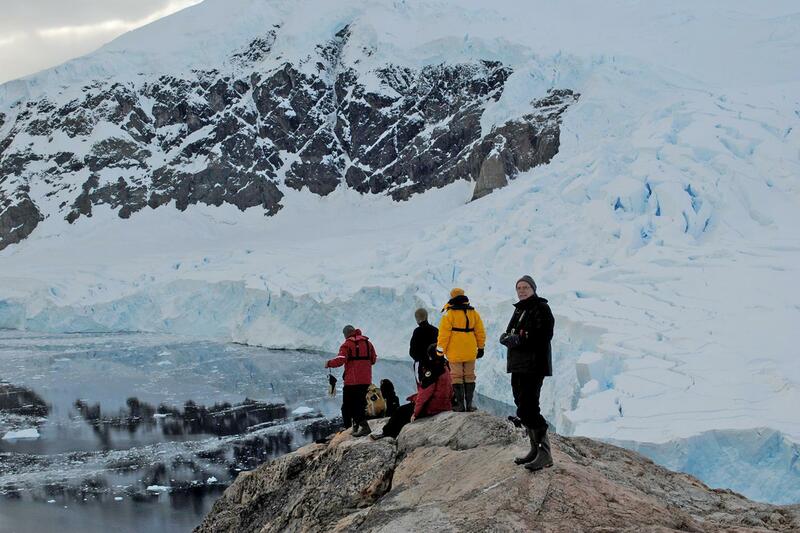 It’s now time to disembark in Ushuaia, but with memories that will accompany you wherever your next adventure lies. 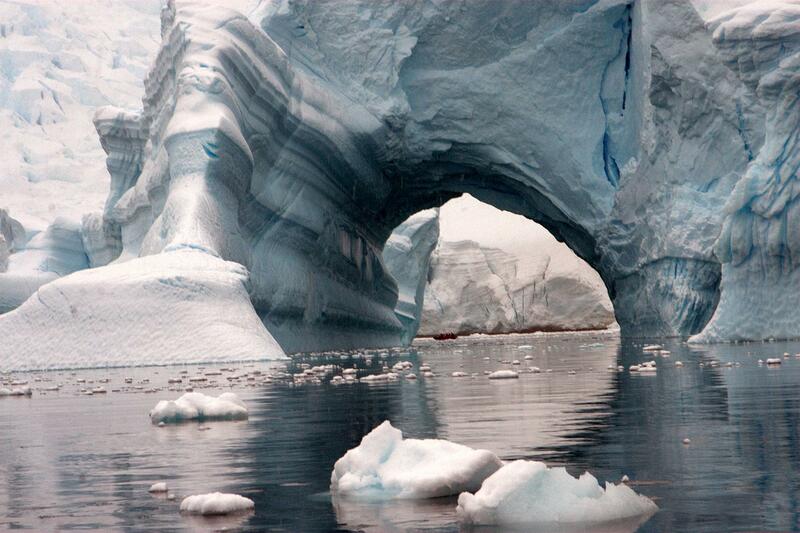 PLEASE NOTE: An example itinerary to the Antarctic Peninsula is illustrated above. Flexibility is key during these thrilling expeditions. Since information about most of the landing sites is limited or unknown, this target itinerary can only mention scheduled landings and general information. Programs may vary depending on local ice, weather, and wildlife conditions. The on-board expedition leader will determine the final itinerary. Average cruising speed of m/v Plancius is 10.5 knots .